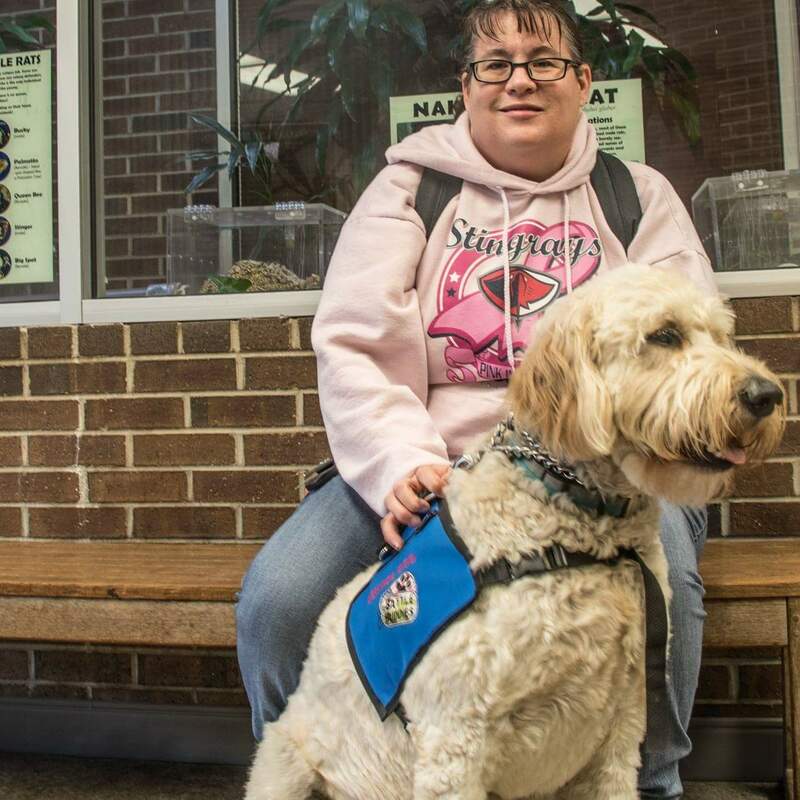 This week we are once again talking about service dogs–service dogs can give their human new life. Battle Buddies was started in 2012 by John and Jo Anne Creed. After meeting several veterans with PTSD and traumatic brain injuries in their state of South Carolina, they saw a need for service dogs and Battle Buddies was born. 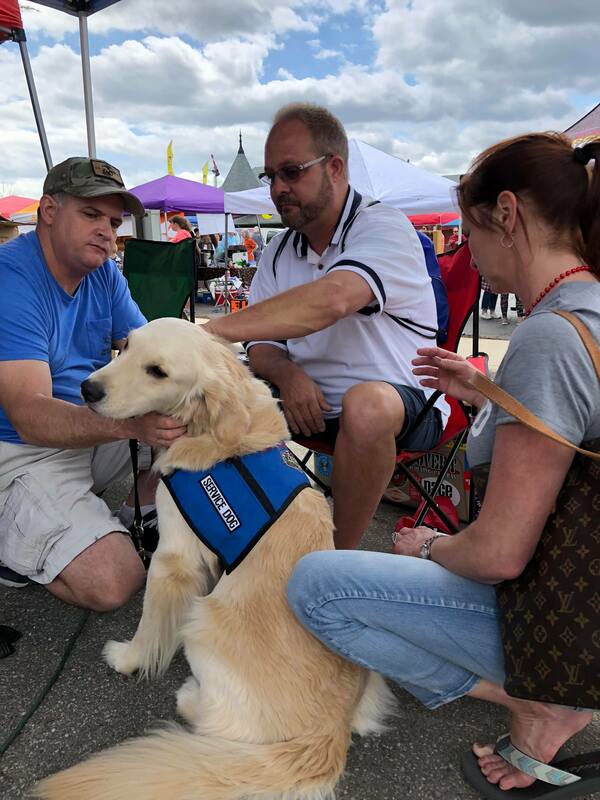 Through fundraising and donations, Battle Buddies has continued to grow to place more service dogs with needy veterans each year. The goal of Battle Buddies is to return the veteran to civilian life with independence. KRL: Working with animals is a labor of love, total dedication, and very hard work. What was the catalyst for the creation of Battle Buddies, and when did it come into being? Jo Anne: My family originally got involved over 10 years ago by volunteering for another service dog organization as puppy raisers. We did this for our four children as a family project. After raising two service dogs I knew this was something I wanted to do full time. After meeting veterans with PTSD, we realized how great the need was and started Battle Buddies about seven years ago. KRL: What was the reaction from your family and friends when you first told them about this organization? Jo Anne: Everyone was excited for us. My husband and son are veterans and they knew we are deeply committed to those who have served. Our friends are always involved in all our events. KRL: How did you start up? Was it difficult and did you receive any government grants or funding? Jo Anne: We started [Battle Buddies] with our own savings about seven years ago and one breeder dog. We have never received government funding, so we rely on donations and fundraising. The veterans are not charged for their service dogs. KRL: Do you have local ex-servicemen’s or community groups supporting you? Jo Anne: Yes, one of our veterans who received a service dog is now on our board and assists with training and orientation of new veterans. We also have great community support, including VFW and American Legion. KRL: Do you work at your own home, or a complex designed for the purpose? If we set up an organization such as yours, we have to receive planning permission (at vast expense) from our local government authority. Is it same in South Carolina? 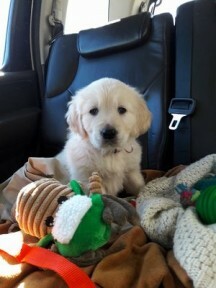 Jo Anne: Currently, we work from our home and also use puppy raisers. We are in the process of buying acreage to accommodate an onsite training facility and residence for veterans to stay while training. KRL: Do you advertise, perhaps through veteran’s associations, for those who might benefit from a service dog in their life? Do you accept personal recommendations? Jo Anne: Most of our veterans find us through our website or our Facebook page and referrals from other veterans. KRL: Do you have trained counselors on staff? Jo Anne: No, but we work with another organization to connect veterans [to] mental health care. KRL: How do you obtain suitable dogs? Do you use ex-service dogs or rescue dogs, or breed them yourself? Jo Anne: We work with a breeder and when possible, we breed. We only use Golden Retrievers because we found that breed most suitable for PTSD work. KRL: How many dogs can you accommodate? Jo Anne: We usually have six in training at a time. KRL: Do you have trainers to work with the dogs and then with the veterans who receive them? Jo Anne: My husband John and I are the head trainers. KRL: Do veterans stay onsite for their training? Jo Anne: Currently, no. We hope to have an onsite residence in the next year. Jo Anne: Yes, we are a registered 501c3 charity. KRL: Do the local county authorities support you? Jo Anne: We are supported by many local organizations like VFW and American Legion. KRL: It costs money to keep and train animals, so how does the local community regard your activities and are they supportive with donations? Jo Anne: We run on donations and hold many events during the year, like dinner/auctions, golf tournaments, [ordinary] dinners, and other events. KRL: Do your staff or volunteers do any educational visits to community or service groups to distribute information about Battle Buddies? Jo Anne: Yes, we participate in career days at our local schools and do many presentations for companies and local organizations. KRL: Do you have many volunteers to help with the dogs and if so, and how do you recruit them? Jo Anne: Yes, volunteers reach us through our website. We have many teens helping for their community hours for school. KRL: Do you charge a fee for your dogs, and do you have PayPal and credit card facilities? Jo Anne: No, our service dogs are provided at no charge to our veterans. We have a donate button on our website. KRL: Do local vet surgeries help in any way with discounted services for your dogs? Jo Anne: Yes, the veterinarian group, Integrity Animal Health Group, works with us and takes great care of us. KRL: Have you any fundraising events coming up, and would you like to give the details? Do you advertise and if so, where? Jo Anne: We will be posting a contest/fundraiser to name our next two puppies. The money we raise will pay for the puppies’ training. Jo Anne: Our most urgent need is funds to have our new facility built to accommodate onsite training and a safe and calm space for the veterans to train. Jo Anne: We are honored to serve our men and women who have sacrificed so much for us and are suffering with PTSD. 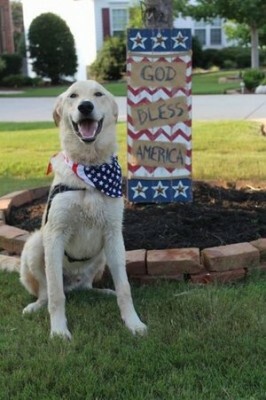 They deserve to have a service dog to help them become independent again and enjoy life with their families. KRL: What is your website URL and your Twitter page? Do you have a P.O. Box or street address and a local phone number? KRL: The mission statement for your organization? 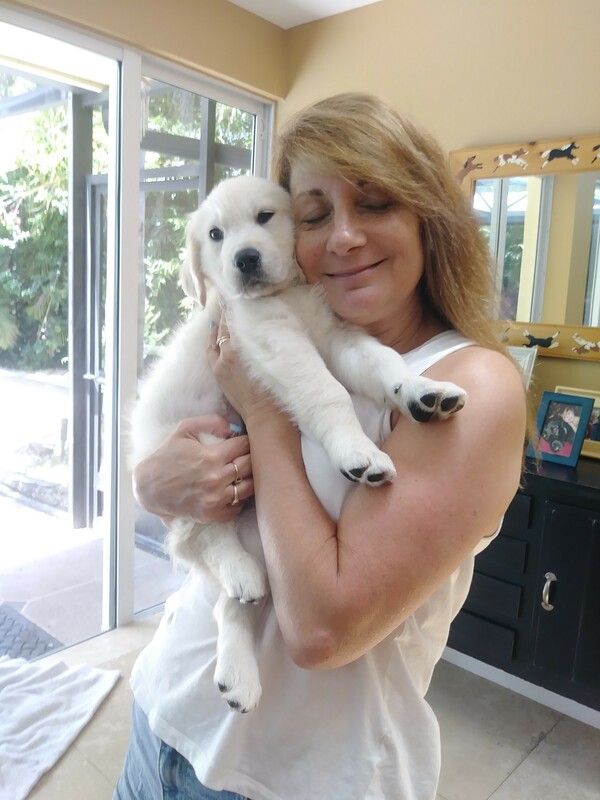 Jo Anne: Battle Buddies’ mission is to train and provide service dogs of the highest quality to veterans suffering with PTSD and traumatic brain injuries in order to restore their physical and emotional independence. Our intension is to build partnerships with state and community organizations to help develop and support this goal.